What a nutty coincidence. 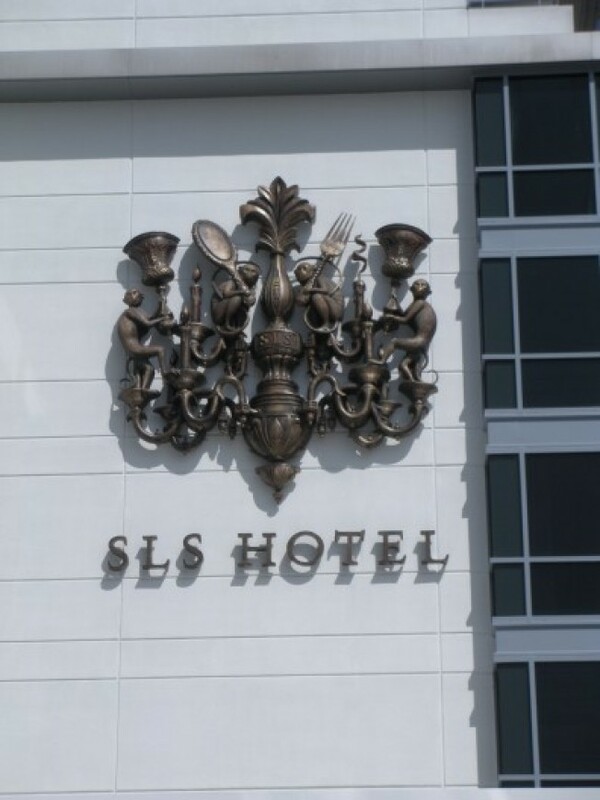 Via the Inbox, confirmation and photographic evidence that the monkey crest at the SLS Hotel, just mentioned earlier this morning, went up yesterday. (If you're squinting, those are chalices, hand mirrors, and sharp forks those monkeys are holding.) God help us all if those drunk monkeys escape from their ivory tower and start attacking the hotel guests.